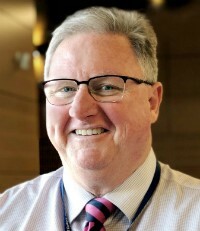 As part of the Catholic education system of Parramatta, Gregory Miller’s mission is to design and establish a new normal for pre- to post-school education. Miller has partnered with the University of Technology in Sydney, using an online platform to understand how learning activities can translate into general capability expressions. Throughout their secondary years, students at St Luke’s increasingly get time back for self-paced learning, self-developed courses and to engage with community partners. Ultimately, students will map their own personalised learning plan in consultation with their parents and learning mentors, and with the support of life coaches. The student achievements are validated in real time with an approach of ‘catch them doing good’. The focus is on community and how students relate to one another, not how they measure themselves against others.